It's easy to recognise what you're made of. 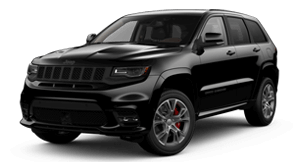 The sophisticated Grand Cherokee features an inviting interior with available premium leather-trimmed heated seats and wood accents offset by chrome detailing. Our commitment to excellence carries over to the Overland version that offers exotic open-pore wood accents and leather-trimmed instrument panel, door and centre console. Take your iPhone® on the road with Apple CarPlay®1 support, offering a more convenient, easy way to access the features of your iPhone® through your Uconnect® system. After you connect your Android™ smartphone, Android Auto™2 brings your world into your vehicle, allowing you to call your friends, listen to your playlists or have texts read to you through your Uconnect® system. The available Uconnect® 8.4 treats you to a wealth of intuitive features like voice recognition, navigation, climate control, new off-road pages and so much more. The available power liftgate opens to a spacious rear cargo area with the rear seat folded. Silver strips help large items glide across the cargo floor easily. An available state-of-the-art audio system by Harman Kardon® features Logic 7® multichannel surround-sound processing and 19 high-performance, high-efficiency GreenEdge® speakers. The available Selec-Terrain® Traction Control System demonstrates our capability with five modes that tackle tough conditions. Choose the available Quadra-Trac II® or Quadra-Drive® II 4WD Systems for excellent road-gripping performance. With five height settings, the Quadra-Lift® Air Suspension provides optimum handling. 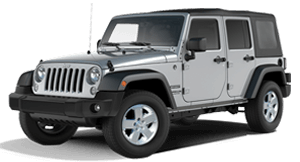 The 3.6L Pentastar® V6 engine features an extraordinary, 8-speed automatic transmission, with paddle-shift steering wheel controls. The Eco mode improves fuel efficiency by 9%. Exceptional fuel-efficiency treats your fuel budget with respect, while reduced CO2 emissions display reverence for the environment. And with its command of 184 kW and a hefty 570 Nm @ 2000 rpm, the EcoDiesel provides a surge of towing strength that can haul up to 3500 kg when properly equipped. 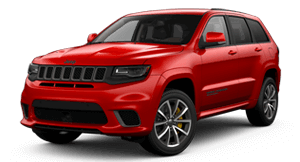 ESS technology on the 3.6L Pentastar® V6 engine cuts fuel flow and turns off the engine when the vehicle brakes to a stop. When the brake pedal is released the engine restarts and transmission engages. The standard Blind Spot Monitoring (BSM)3 and Rear Cross Path Detection (RCPD)4 systems use radar-based sensors to detect other vehicles in hard-to-see places. BSM will alert you if another vehicle is traveling in one of your blind spot zones, while RCPD will warn you of vehicles crossing your path when backing up. The standard ParkSense® Rear Park Assist System4 uses sensors located in the rear of the vehicle that alert you if your vehicle gets too close to an obstacle while backing up. It also helps prevent collisions by automatically stopping your vehicle at low speeds when an object is detected in your path. The standard ParkView® Rear Back Up Camera4 displays a wide-angle view of the area behind your vehicle on the Uconnect® touchscreen when you shift into reverse. It includes on-screen dynamic gridlines that assist you while maneuvering out of parking spaces or narrow areas. The backup camera can also be activated for a short period of time while using the Trailer View function to check on your trailer. Available Adaptive Cruise Control with Stop5 automatically adjusts your driving speed to maintain a pre-selected distance from the vehicle ahead. It can even bring your vehicle to a complete stop if necessary, without driver input. The available Full-Speed Forward Collision Warning with Active Braking6 alerts you when it senses a potential frontal impact. If you don’t respond and the risk continues, it will automatically engage the brakes. The available LaneSense® Lane Departure Warning with Lane Keep Assist7 measures your position within lane boundaries. If it detects an unintentional lane drift, it will alert you and help you course correct your vehicle back into its lane. 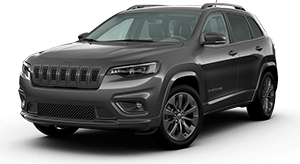 Grand Cherokee can practically park itself with the available Parallel and Perpendicular Park Assist system8. It controls the steering wheel and directs you with audible and visual instructions to operate the gear position, brake and accelerator. 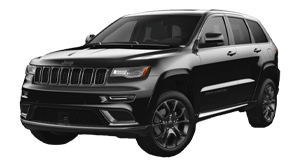 With seven standard airbags9 and a chassis that’s manufactured with advanced high-strength steel, Grand Cherokee is engineered to help direct crash energy away from the cabin, helping protect you from unexpected situations. Overseas models may be shown. Not all features shown may be available in Australia and/or are available at an additional cost. 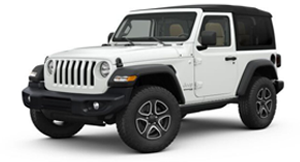 For the full details, please contact Mornington Jeep. 1. Apple CarPlay® requires an iPhone 5 or later version of iPhone, running iOS 7.1 or above. The function of Apple CarPlay® requires mobile data for full capability. Compatibility and performance can vary and change. 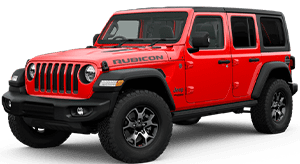 Android Auto® and Apple Carplay® is available* on, and compatible with, Uconnect® Systems installed in select Chrysler and Jeep vehicles. Uconnect® Systems do not support the Pandora® application, but it may appear as part of Android Auto® and/or Apple Carplay®. FCA is not responsible for the availablility, compatibility or use of applications, products and software supplied or supported by third parties. 2. Android Auto® requires an Android 5.0 or later version of Android, installed with the Android Auto® Application. The function of Android Auto® requires mobile data for full capability. Compatibility and performance can vary and change. 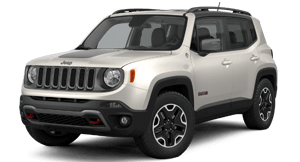 Android Auto® and Apple Carplay® is available* on, and compatible with, Uconnect® Systems installed in select Chrysler and Jeep vehicles. Uconnect® Systems do not support the Pandora® application, but it may appear as part of Android Auto® and/or Apple Carplay®. FCA is not responsible for the availablility, compatibility or use of applications, products and software supplied or supported by third parties. 3. Always check visually for vehicles prior to changing lanes. 4. Always check entire surroundings visually before backing up. 5. This system is a driver's convenience system, not a substitute for active driver involvement. The driver must remain aware of traffic conditions and be prepared to use the brakes to avoid collisions. 6. This system is an alert system for the front of the vehicle. It is not a substitute for active driver involvement. The driver must remain aware of traffic conditions and be prepared to use brakes to avoid collisions. 7. This system is a driver`s convenience system, not a substitute for active driver involvement. The driver must remain aware of traffic conditions and maintain control of the vehicle. 8. Always look before proceeding, electronic drive aid is not a substitute for conscientious driving; always be aware of your surroundings. 9. Always sit properly in designated seating positions with seat belts securely fastened at all times. 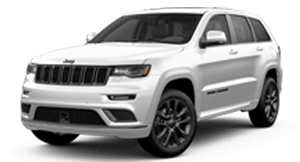 The best way to experience the Grand Cherokee is with a test drive. 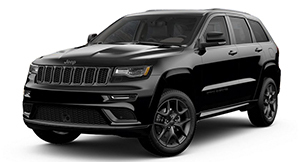 Get the very latest brochure on the Grand Cherokee. 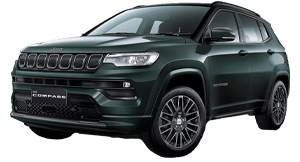 Want to know more from the team at Mornington Jeep? Get in touch with us!